Yesterday Baltimore, today Chicago, tomorrow—who knows? The spotlight on race, poverty, and policing is swinging from one American city to the next. 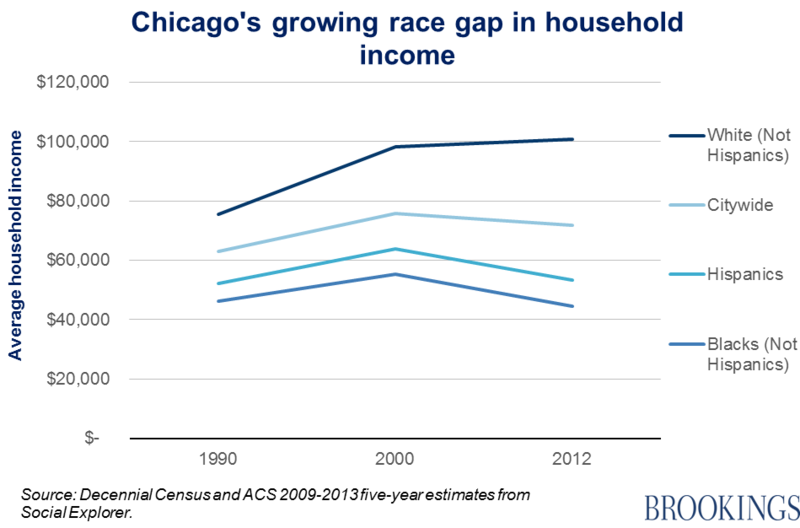 But at least more attention is now being paid to entrenched racial inequalities in urban areas. 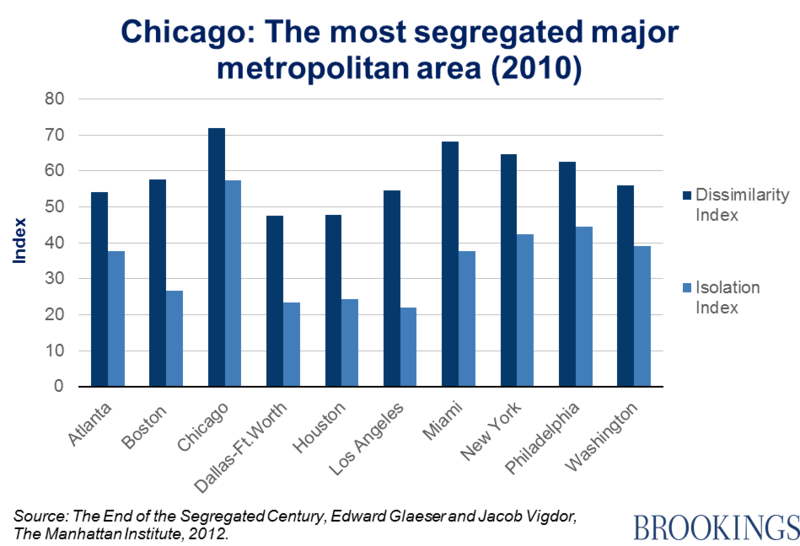 Segregation by race in the U.S. has lessened slightly over the last decade, as shown by our colleague William Frey, but remains high by international standards. One in four black Americans and one in six Hispanics live in high-poverty neighborhoods, compared to just one in thirteen white Americans, according to a recent report by Paul A. Jargowsky for the New Century Foundation. Racial segregation and concentrated neighborhood poverty have a negative impact on children’s life chances, not least because different forms of disadvantage tend to ‘cluster’ spatially. “All three types of segregation—income, educational, and occupational—are associated with one another,” is the conclusion of a report by Richard Florida and Charlotta Mellander. The headlines being generated out of Chicago and other cities are mostly on the narrow issue of police behavior and accountability. But beneath the immediate controversies and anger lie deep racial divides, decades-old, and often the direct result of public policy. 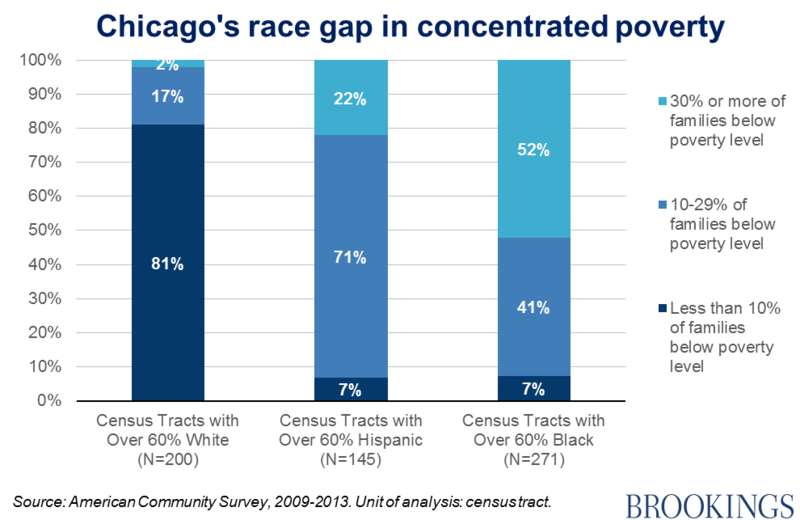 The broader tragedy of Baltimore, of Ferguson, of Chicago, is that black and Hispanic Americans in the poorest areas of our cities have such bleak prospects. The danger is that once the media bandwagon has moved on, these structural inequalities will remain. Will things be any better in 2020, or 2030? 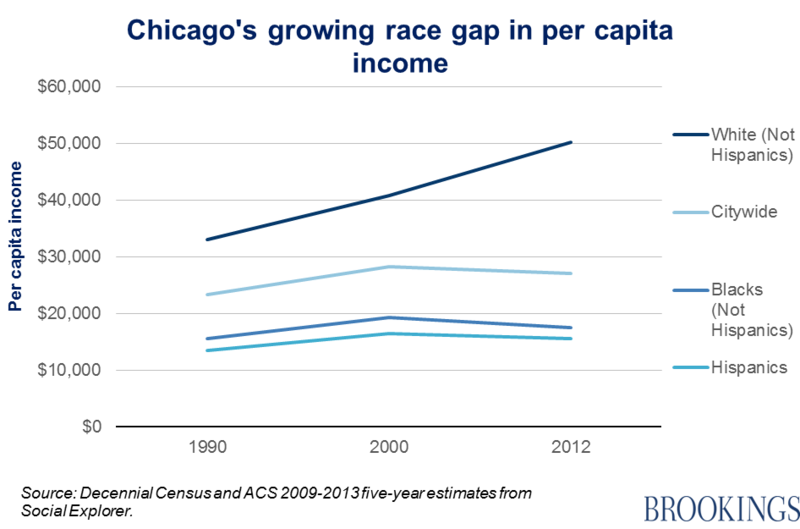 These were gathered by looking at the Census Designated Place (CDP) of Chicago City, Illinois over time. Figures for 2012 are ACS 2009-2013 5-year averages. All values are adjusted to 2013 inflation.